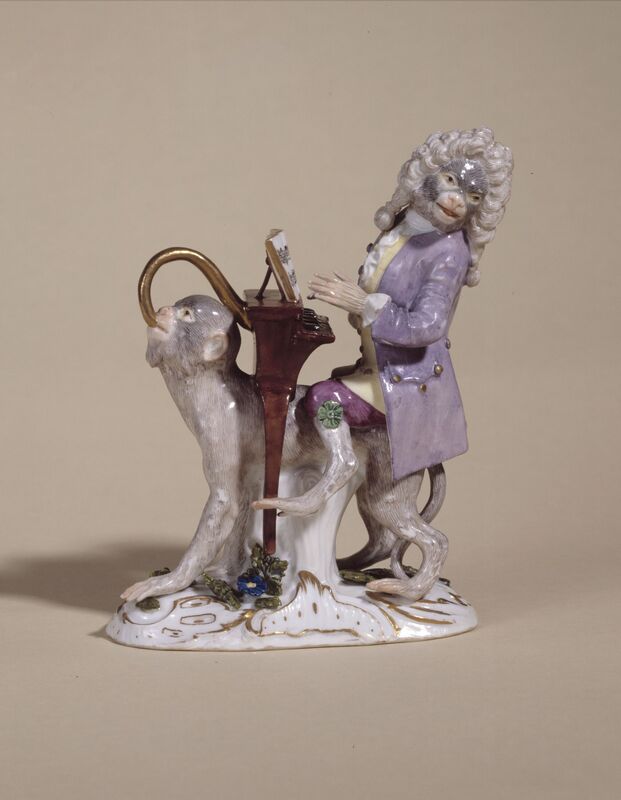 This exceptional piece was probably a private commission, perhaps through the intermediary of a major marchand-mercier [decorative arts dealer operating outside the guild system] such as Lazare Duvaux, who sold a monkey orchestra to Madame de Pompadour in December 1753. The contrast between gilded bronze and polychrome porcelain came into vogue in clockmaking during the 1730s. 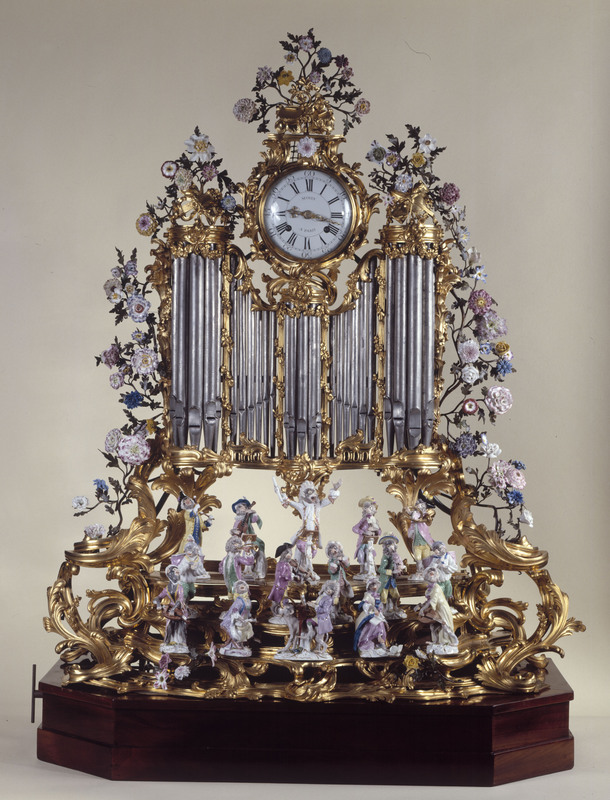 Jean Moisy (1714-1782), the creator of the clock mechanism, became a master craftsman in Paris in 1753, at the age of 39. 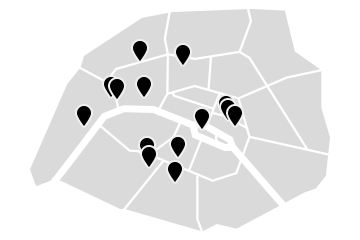 He systematically numbered all the movements leaving his workshop and this one bears the number 558. Porcelain of different origins is juxtaposed on the same piece, such as the soft-paste Vincennes porcelain flowers and German hard-paste porcelain figures. At Vincennes, the taste for natural-looking flowers reached its peak in 1751. The exotic monkey theme was initially designed to decorate interior panelling. 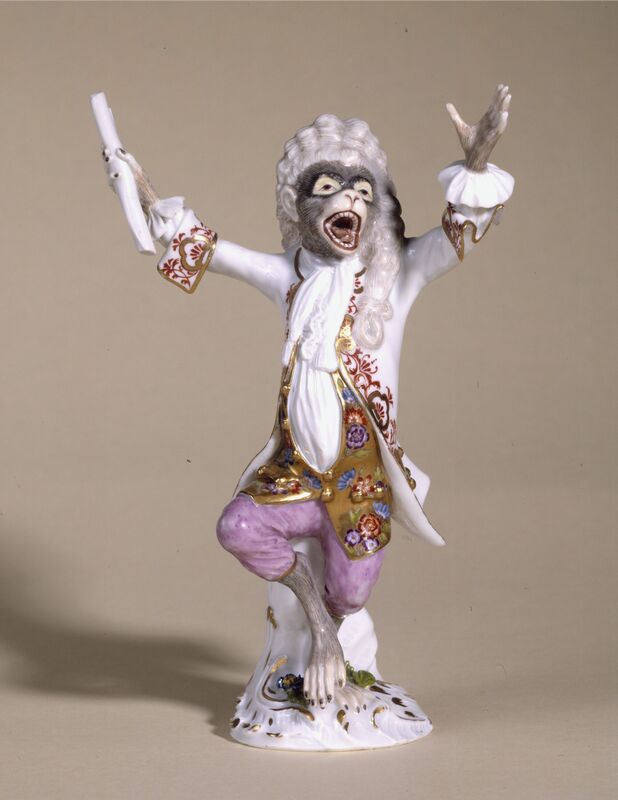 The first porcelain monkey orchestras may have appeared in Mennecy in France post 1740, but they reached the peak of refinement in Germany. 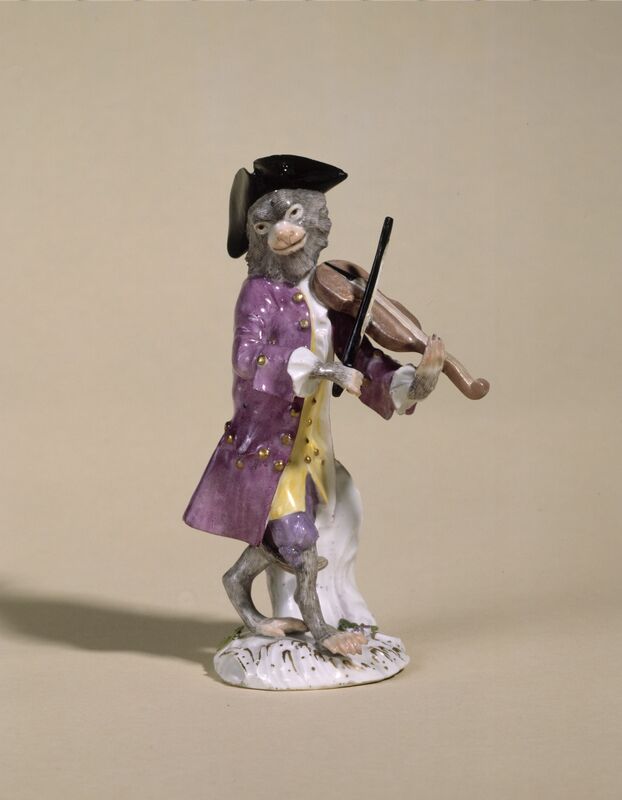 In Meissen in Saxony, the master modeller Johann-Joachim Kändler (1709-1775) set the standard shortly before 1750 with the charming design used here which he revisited and modified circa 1765 with the help of his collaborator Peter Reinicke (1715-1768).